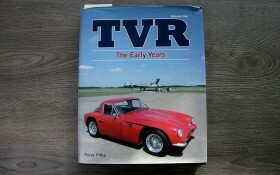 TVR is primarily a craftsman of English sports car. 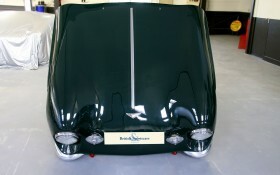 Its concept is the production of tubular steel frame carrying a plastic body with glass reinforcement. 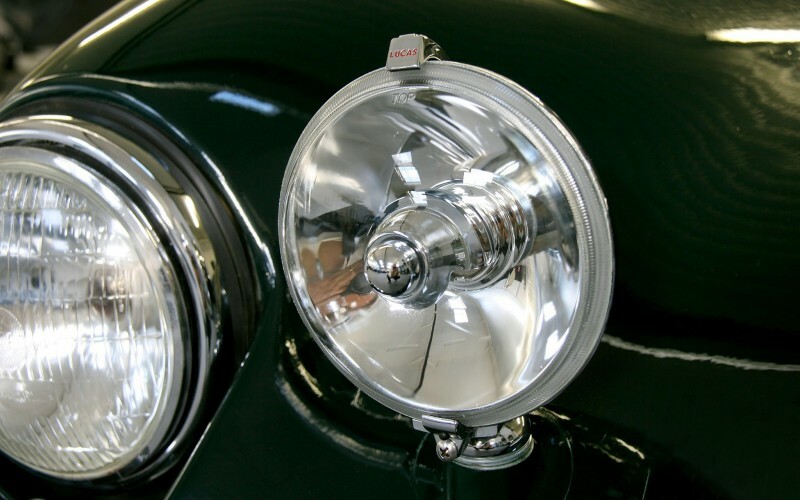 This results in bright and light cars. 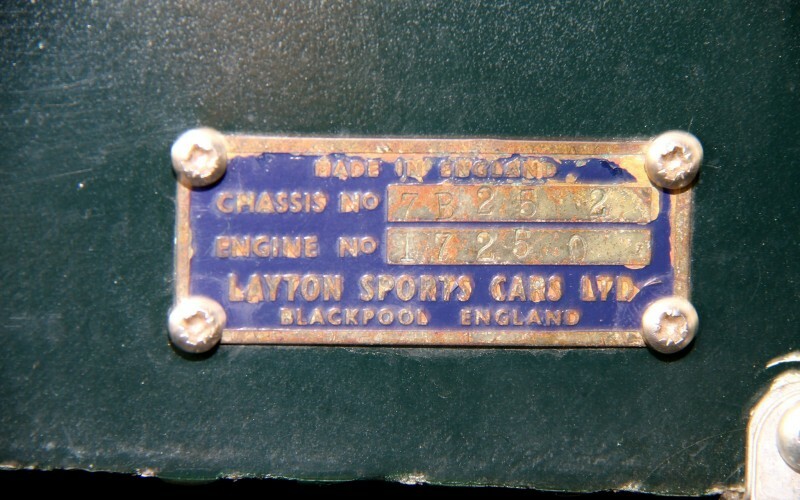 The firm, located in Blackpool, was founded in 1947 by Trevor Wilkinson, who simply used the consonants of his name to create its brand. 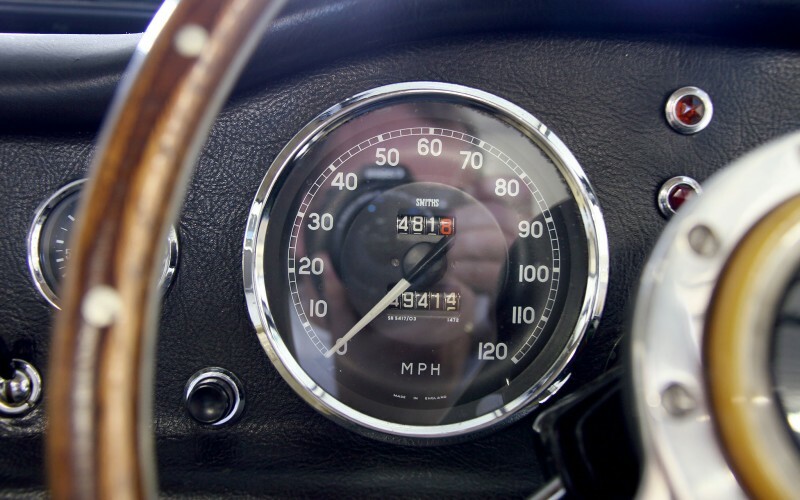 Our copy will total 49,415 miles and that is passed between extremely careful hands of only 4 owners. 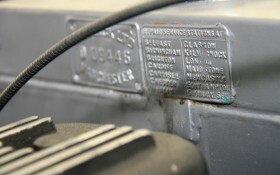 The first has kept it until 1989, for 28 years. 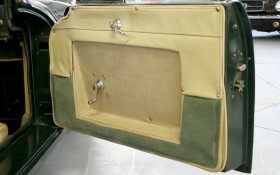 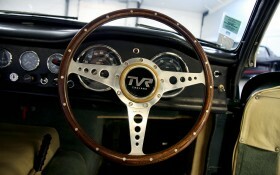 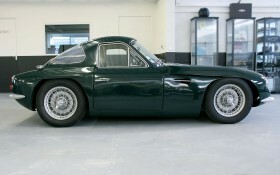 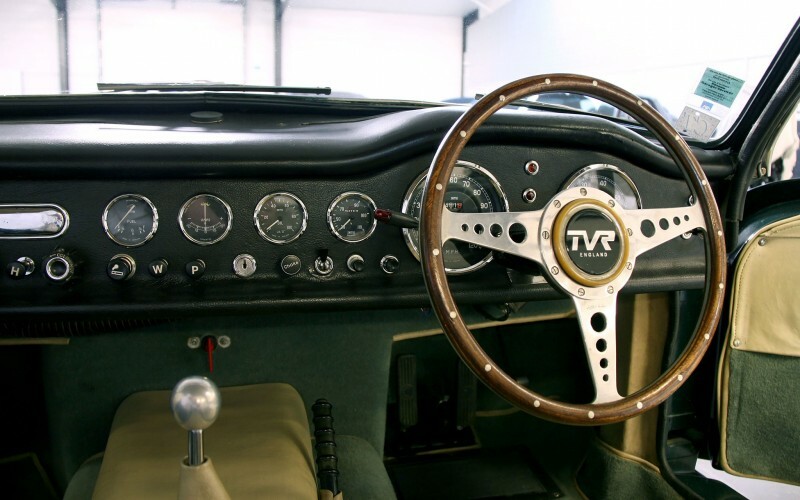 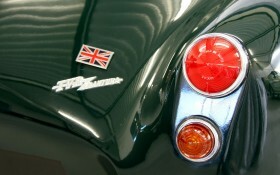 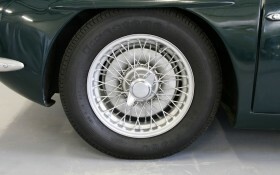 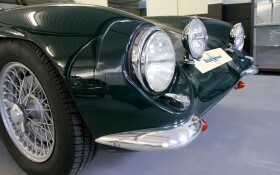 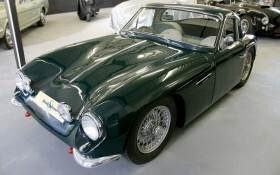 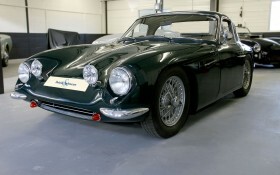 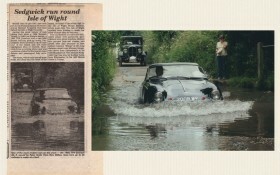 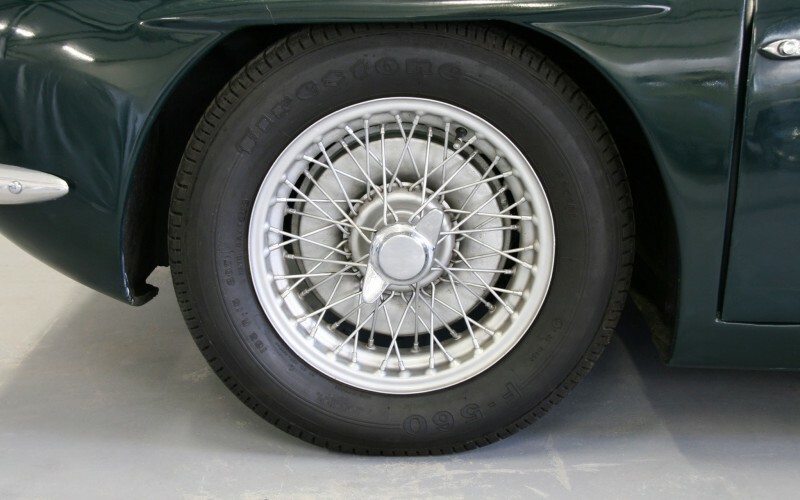 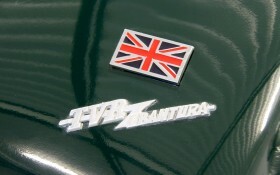 The second was an active member of TVR club in England and was essentially many concours d'elegance, such as Goodwood. Many photos, articles and maintenance of the record forever immortalized. 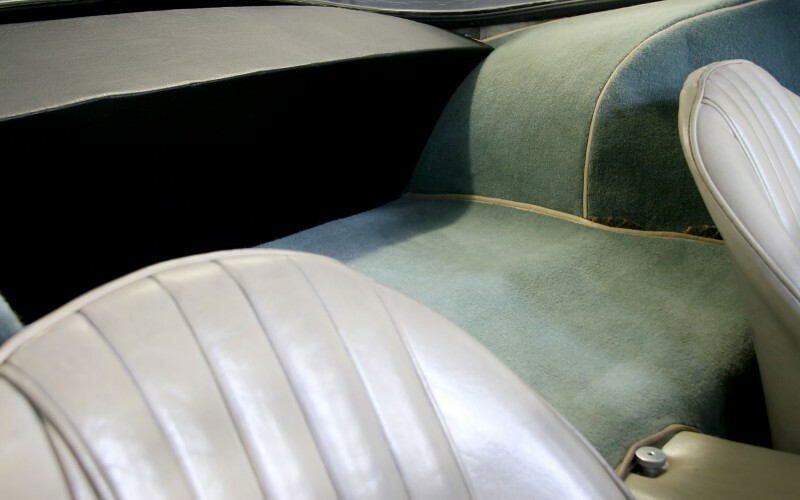 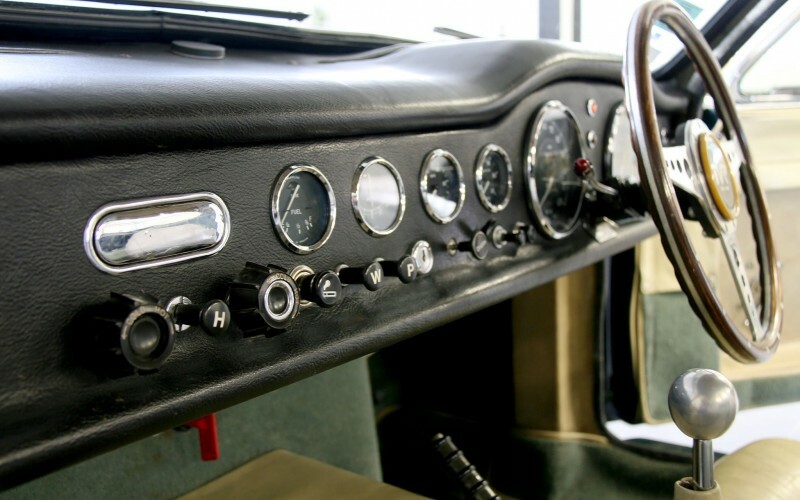 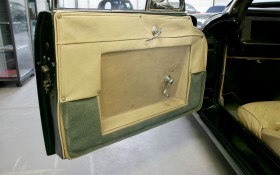 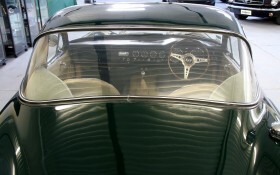 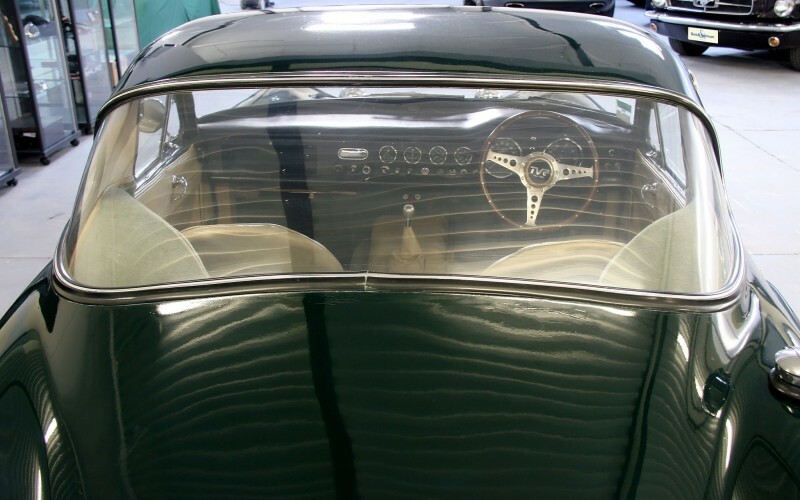 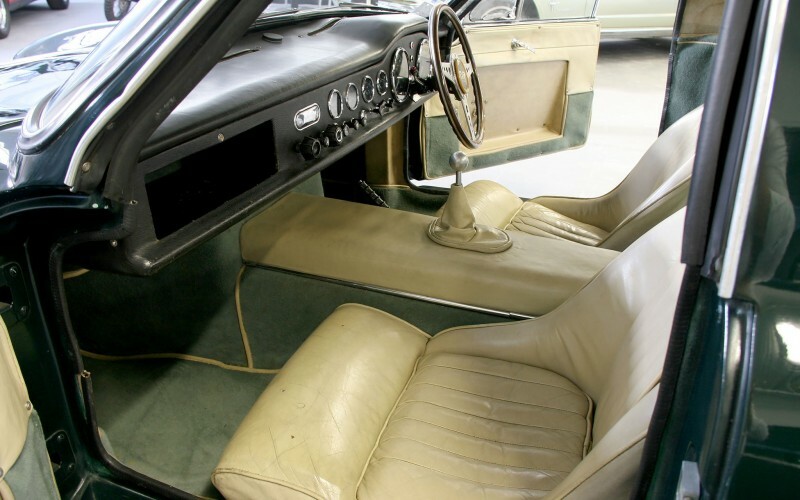 Then we find in France in 2011, with a completely restored mechanical, but a freshly painted interior in its original juice, leather seats and doors being with a beautiful antique patina. 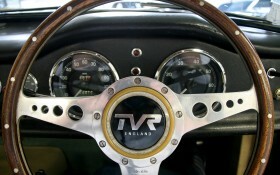 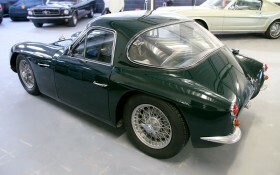 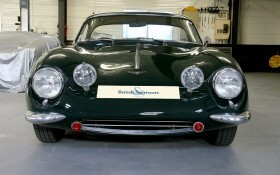 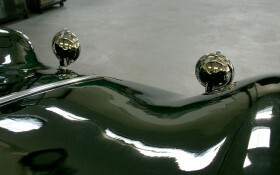 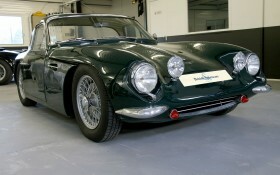 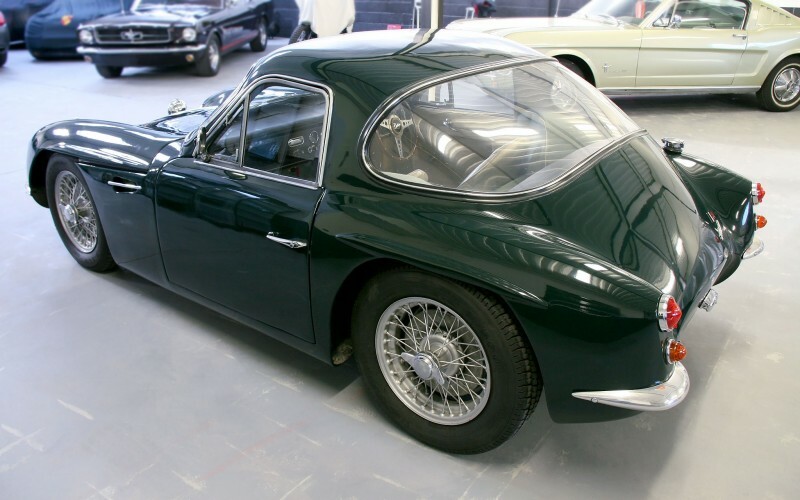 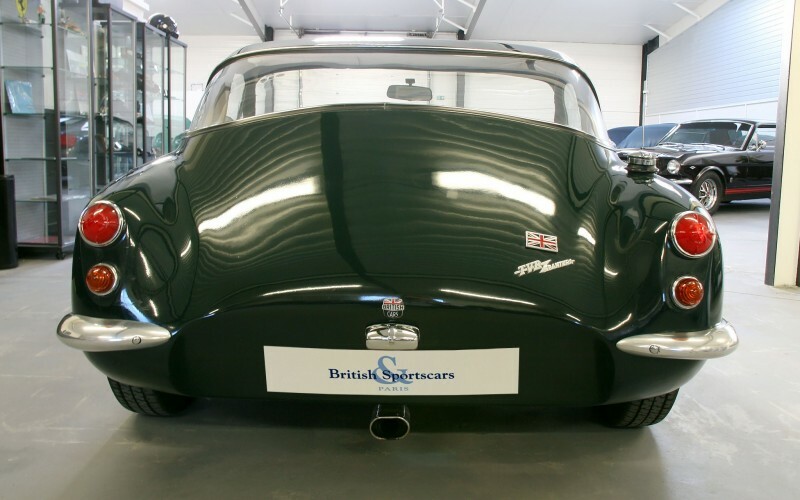 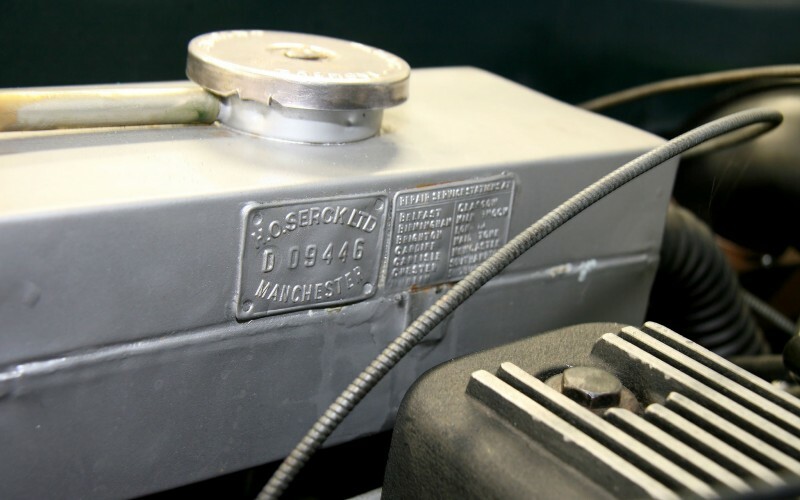 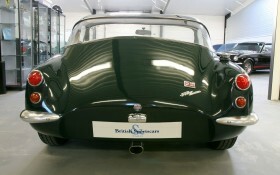 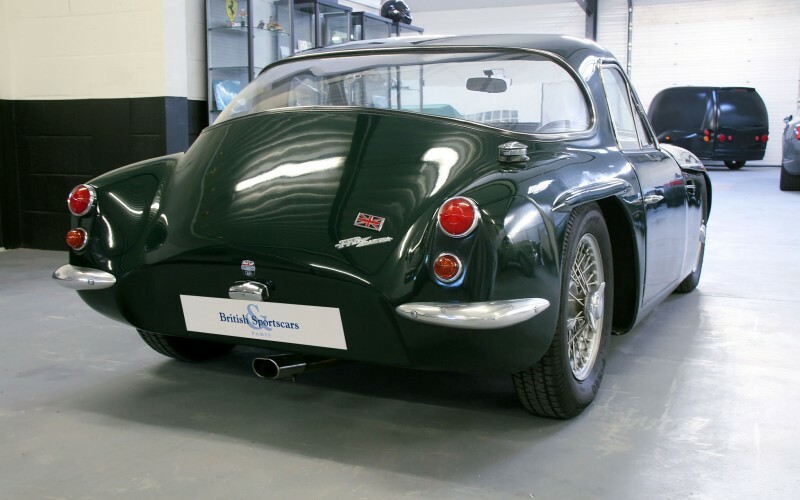 Mechanically, it should be noted that our TVR received special preparation during its restoration. 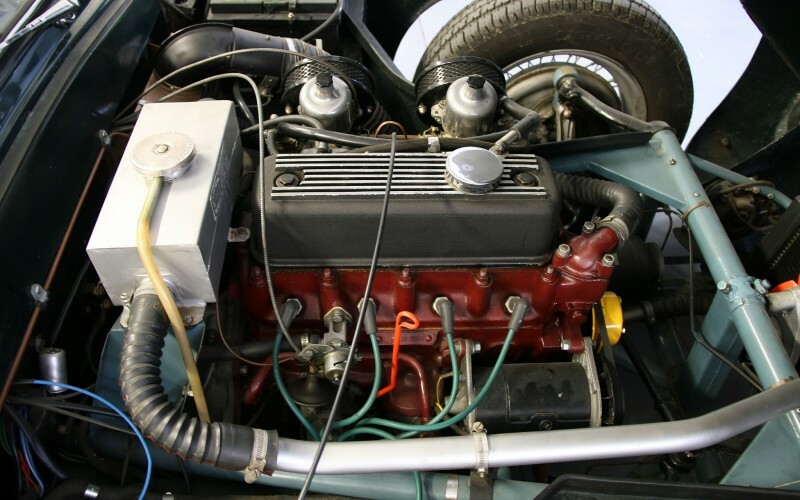 The engine is an evolution, from 1588-1622 cm3, making it up to the power of 90 bhp DIN at 79. 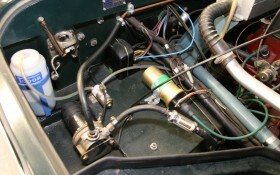 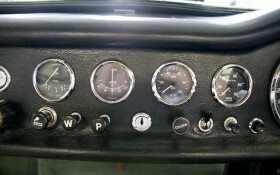 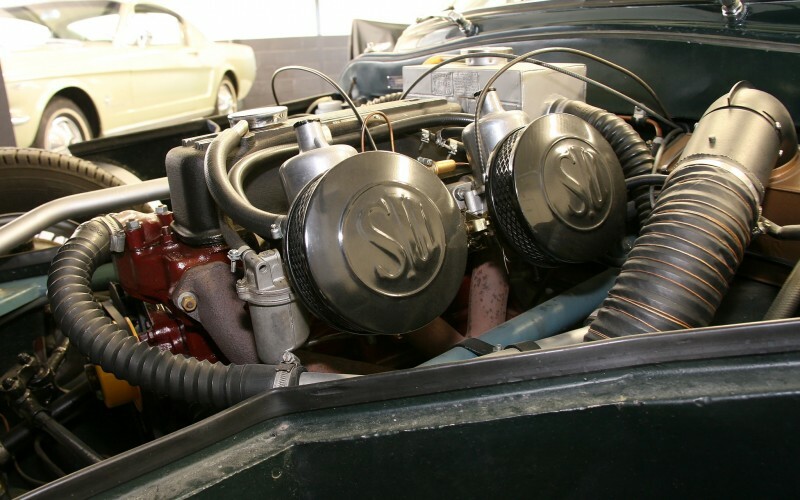 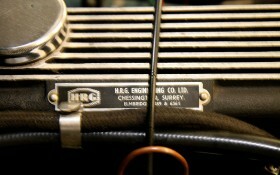 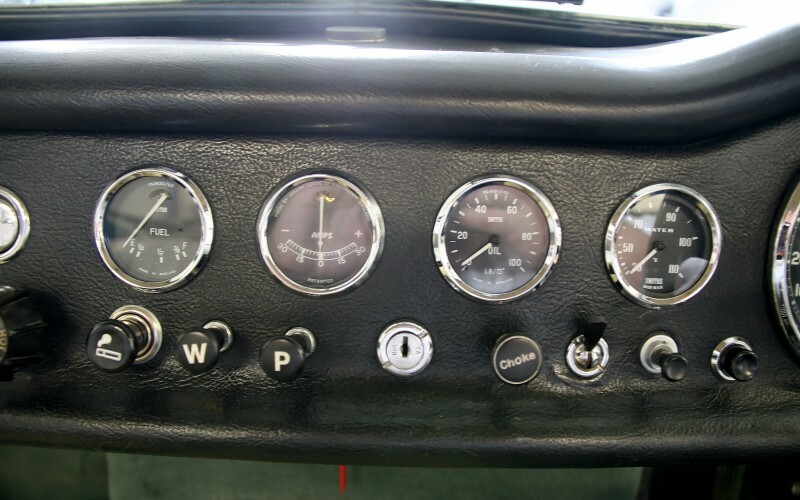 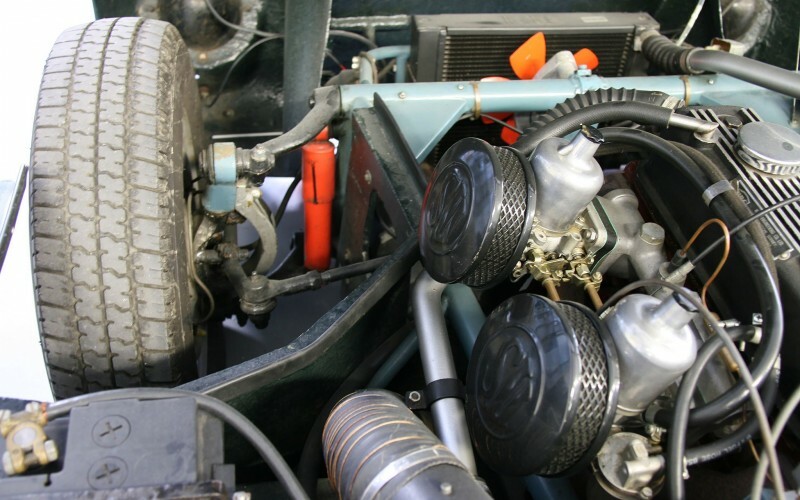 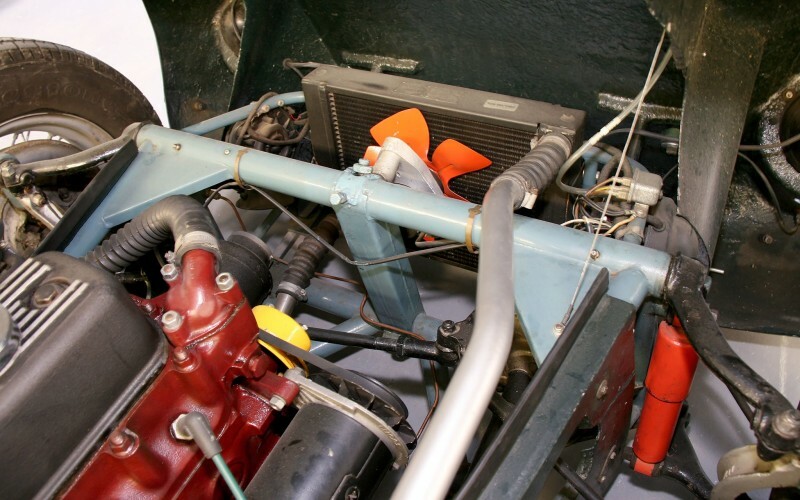 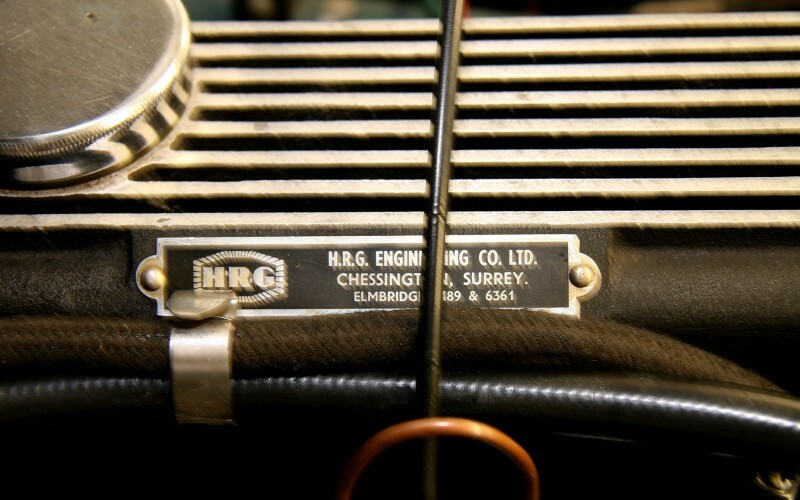 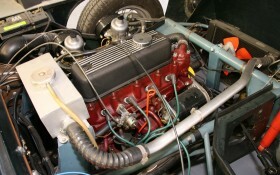 A yoke type HRG Le Mans fits over the block, passing the power to 105 hp DIN. The gearbox has also been replaced by a 5 evolution original Ford speed, with the clutch adapted. 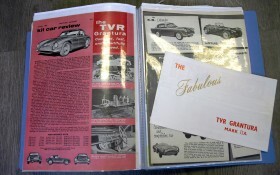 But the original box comes with the car. 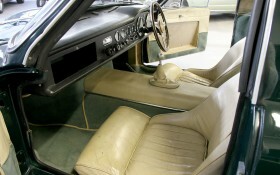 Approximately 400 series II Grantura were built at the beginning of the 60's. According to the TVR Car Club, probably fewer than a dozen of this model remain in roadworthy condition in the UK. 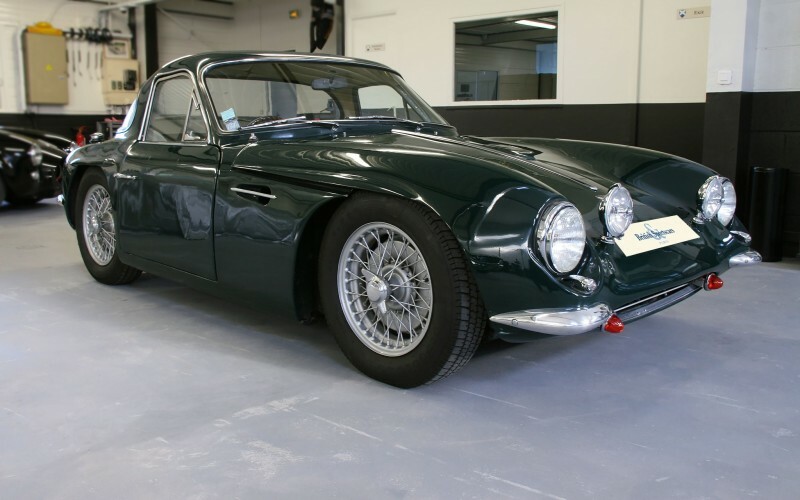 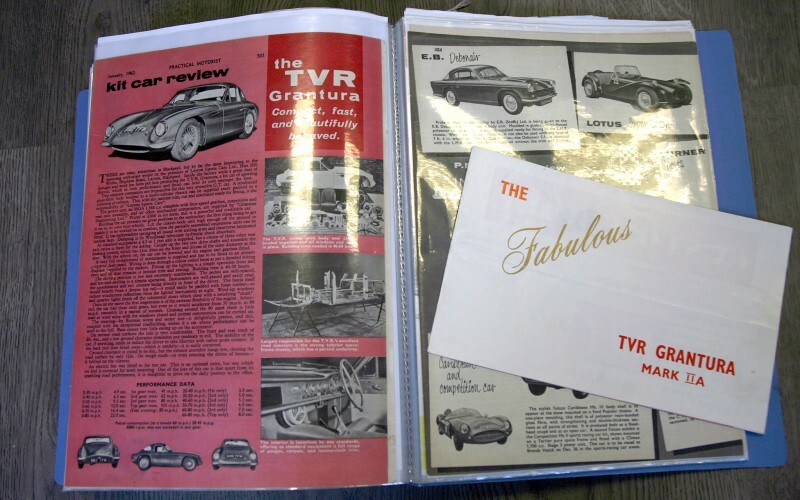 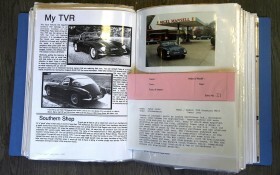 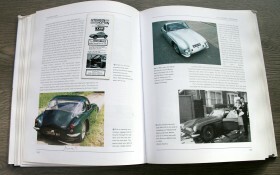 This car appears in the Bible "TVR" written by Peter Filby and published in 2010, with its original registration "WY 2008". 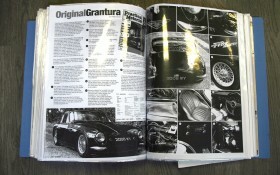 You will also find a picture on the Wikipedia page at TVR Grantura . Our TVR Grantura participated three times at the Goodwood Revival Concours d'Elegance . 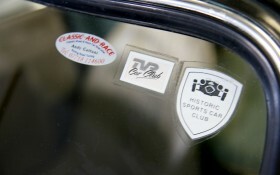 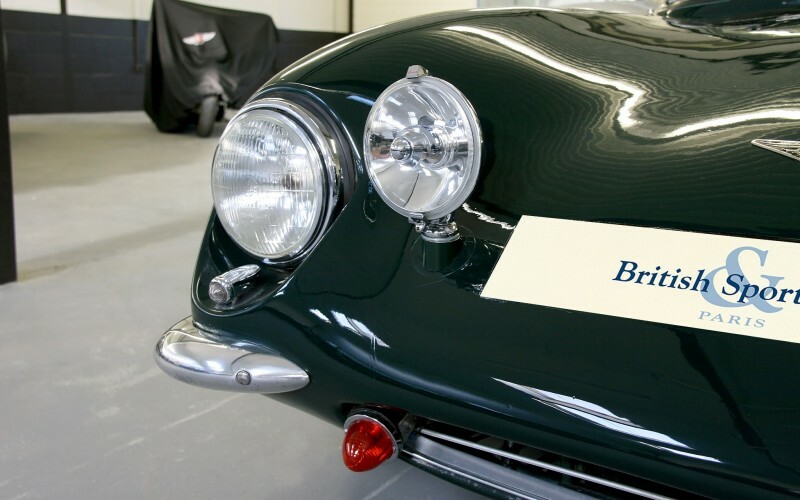 Note that it is eligible for the Le Mans Classic . 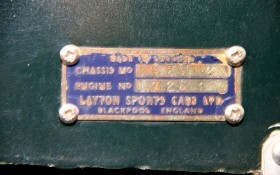 Its gray card is French and collector since his arrival in France in 2011.